December 12, 2015 by Rob S.
Some friends of mine recently moved to Berwick and mentioned enjoying a meal at The Velveteen Habit, a name I had seen crop up on Eater over the past few months. Admittedly, I knew very little about the restaurant or the food scene in general in that neck of the woods. My friends were throwing a housewarming party and VH was only 20 minutes away, so I saw the opportunity to kill two birds and break outside of my peninsula comfort zone. Located in Cape Neddick, the space was formerly occupied by Arrows for 25 years under the ownership of Mark Gaier and Clark Frasier. 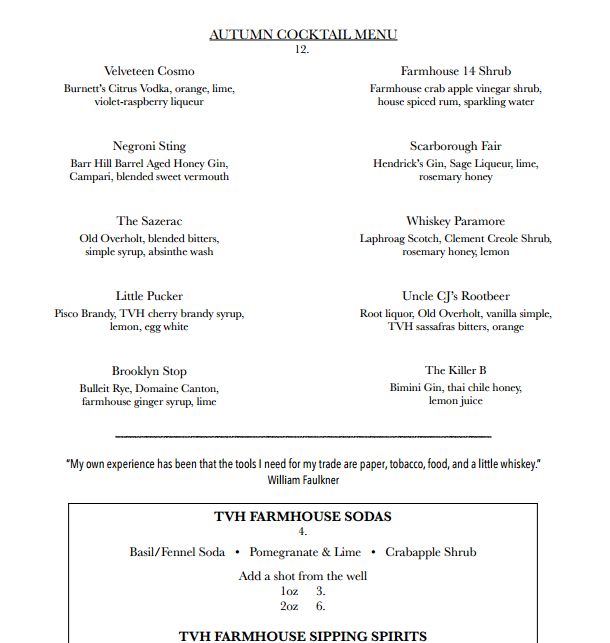 The four-acre farmhouse opened this past spring with Ben Goldman and Brent Bushong handling the remodel/management operations and Chris Wilcox at the helm in the kitchen. Ben greeted me and informed me that he had a table arranged but regretfully at that hour, I wouldn’t have much of a view of the property. I opted for the bar instead because I was leaning more towards limiting myself to an app and dessert before scooting to my friends’ party. 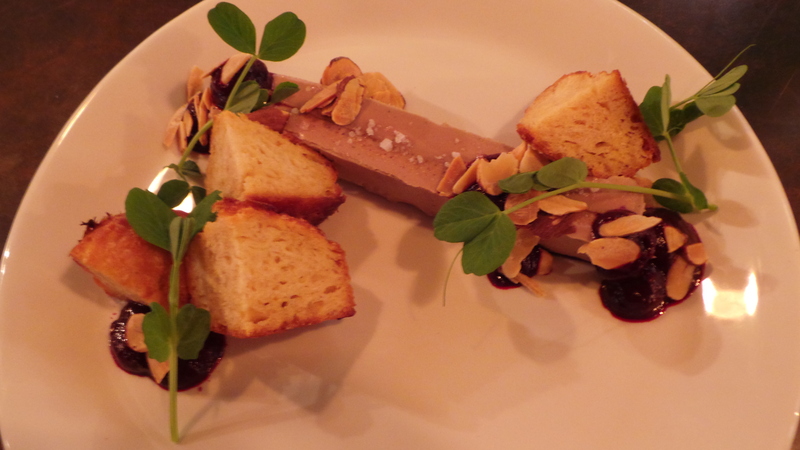 The chicken liver mousse had an astringent quality to it, not quite as rich with umami as I’m used to experiencing. I am always terrible at budgeting my bread versus spread ratio, but the bartender picked up on this and asked the kitchen to replenish the biscuit before I even had the chance. 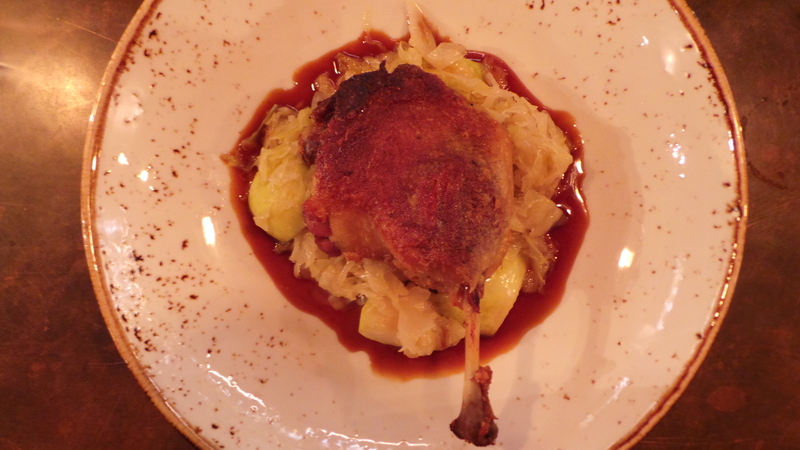 The duck confit was incredible, perfectly cooked and very robust in flavor. 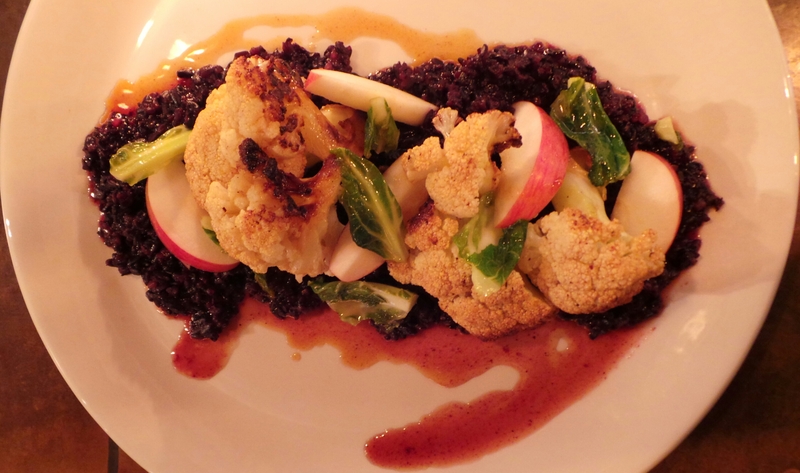 I unfortunately found myself unable to finish parts of the cauliflower dish. I totally missed any hint of starchiness to the black rice as it was completely saturated with a pickling agent. One really nice aspect of their dessert menu is that half-portions are available, so that leaves some wiggle room to do some sampling. The dirty chai granita and pot de creme both had really nice layers of texture and flavors. I ordered the crabapple shrub listed at the bottom, which led me to believe that one would receive a soda unless specifically requesting shots with the respective price differences. It just so happens that the crabapple shrub is also an ingredient in the ‘Farmhouse 14 Shrub’ listed at the top. I clearly was not paying close attention to the bartender’s preparation and I drank it as I normally would any vinegar-based mocktail. When I received the bill, I questioned why the beverage charge was $12 instead of $4. The bartender stated he thought I had ordered the Farmhouse 14 cocktail. I was astounded I had finished the drink without detecting the booze by either taste or feeling its effects as an obvious lightweight. The rum was completely masked to my senses. Even though they adjusted the bill, I felt compelled to mention this service faux pas to serve as a precaution to potential diners who may have an allergy or are in recovery. Luckily, neither is the case for me and it did not result in any illness, but I do hold a certain amount of pride in maintaining a chem-free lifestyle. While I never ate at Arrows, it sounded like Velveteen Habit had some big shoes to fill by taking over the space. I think it has great potential, but I do think this initial experience left some opportunity for fine-tuning. I look forward to getting a better glimpse of the grounds under sunnier conditions in the summertime. Velveteen Habit’s season ends on Sunday December 20th. Wow, the food sounds and looks amazing! 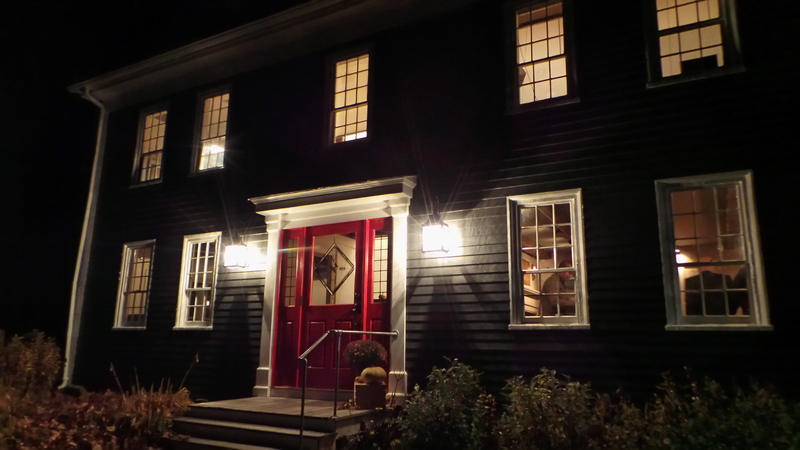 We live about an hour from Cape Neddick…..have give this place a go!